Famous the world over for its stunning scenery and laid back lifestyle, New Zealand is a multicultural South Pacific nation with a population of around 4.5 million people. New Zealanders enjoy a balanced lifestyle with great career opportunities and plenty of time for recreational activities. Outdoor activities are abundant, including water sports, snow sports, extreme sports, as well as some of the most beautiful walks in the world. While New Zealanders work hard at their jobs, they also understand the importance of work-life balance. Life in New Zealand is about balancing the time you spend working hard, and the time you spend enjoying the Kiwi lifestyle. 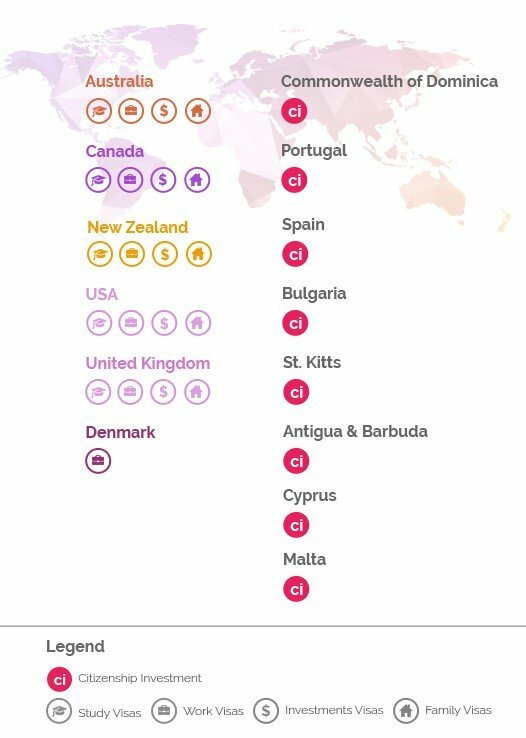 So with this amazing lifestyle, who can miss out on taking NZ as a serious immigration destination option? New Zealand Immigration. We are here to maximize your chances and to give you straightforward advice based on our comprehensive expertise, our knowledge in immigration law and most important, on our interest to submit applications that will be approved. All our visa applicants are based in GCC so we have a great understanding of every challenge there is on the way and we have designed in time various proactive approaches to make sure you have the best assistance and the right advice for New Zealand Immigration requests. Interested in finding more about your New Zealand Immigration options? The purpose of New Zealand's student policy is to facilitate the entry of genuine students. After you have successfully completed your studies, you might be able to remain in New Zealand and work. A post-study work visa will allow you to get a job in a field related to your studies. The visa will initially be granted for 12 months and can be extended for another 2 or 3 years. After that you might qualify for a resident visa under the Skilled Migrant Category. At The Immigration Office, we have a department specialized in Student Visas. All our Student Visa assessment are free, individually made according to your needs and 100% confidential. Call us today or book an assessment to find out more about the Student Visa. In many cases a third stage, an assessment of the applicant's qualifications, will be necessary. In some cases the migrant will have to apply for his or her professional registration with the professional board in charge. At The Immigration Office, all our team members have a long history in succeeding applications for the NZ Skilled Migrant category. We have witnessed changes within the process, the profession eligibility and requirements throughout time. 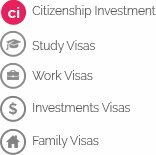 All our initial NZ Skilled Migrant Program Visa assessment are free, individually made according to your needs and 100% confidential. Call us today or book an assessment to see if you qualify for the New Zealand Skilled Migrant category. At The Immigration Office, we have a dedicated team working with in-house and external legal partners for Investment programs and Business Start-Ups in New Zealand. Call us today or book an assessment to see how you can become a NZ Investor. If you have Family in New Zealand – a partner or adult or dependent children – the Family Categories provide a popular access to New Zealand. If you want to get a better understanding of the program that suits best your needs, our advisors are here to provide you accurate information regarding the best option for you. The Immigration Office is founded by people, so the Family visa is one of the products of the utmost importance for us. We understand that you want your family members to join as quickly as possible. Our experience with family migration will facilitate a fast and accurate selection of the most appropriate visa option for you, the lodgment and processing of your visa case along with the insurance of providing full support and advisory for any type of complications in meeting the sponsorship. All our initial Family Visa assessments are free, individually made according to your needs and 100% confidential.